The Warlock and the Wolf is a historical fantasy set in mid-17th century Netherlands, in the South Holland city of The Hague. The story begins with the hanging of a woman, accused of being a witch. It was a quiet affair in the woods, but news of it soon spread to our protagonist, a young naturalist apprentice named Mina who spends much of her time in the wilderness studying the fauna and flora. One day, Mina is suddenly set upon by a strange creature—something with the body of an owl but the face of a human woman—and its talons rake and injure her. Fortunately for Mina though, she is saved from further harm thanks to the timely arrival of a talking wolf, who chases the creature back into the woods. Wait, a talking wolf? Mina is sure that she imagined it all, or that the strange owl creature’s talons must have infected her with a disease and somehow made her hear and see things that weren’t there. Being a woman of science, she is ready to dismiss the whole thing, and certainly she’s not about to tell her mentor, the great Pieter Moll who serves as chief naturalist to Frederick Henry, Prince of Orange. Mina has hopes of succeeding Pieter one day, and it would do her no good to talk of anything related to the occult or supernatural. Still, when Mina hears the details of the witch’s hanging from her aunt, she grows unsettled. The supposed witch’s name was Leonara, and as the story goes, the woman did have some magical power, which she was using to keep a murderer named Gregor from escaping his prison cell. And as Gregor was the man who killed Mina’s parents when she was little, the story was understandably of interest to her. Sure enough, the news comes that Gregor is now on the loose. Worse, he’s reputed to be a powerful warlock, and it may seem he still has unfinished business with Mina and her family. With a premise like that, it’s no wonder we here at The BiblioSanctum were intrigued by this SPFBO entry. Within the first five chapters, we were introduced to a historically rich setting, a fascinating young heroine, and talking animals. I have to admit, it was this last point that really sealed the deal for me and made me decide to nominate it for our shortlist. There’s nothing I enjoy more than a quirky little hook like that to make me want to know more about what’s going on. I also took to the main character right away. Most of all, I liked how quickly the book established a complex picture of Mina, presenting a number of conflicts which immediately made her an interesting protagonist. One of the main themes of the story is Science versus Magic, and Mina frequently finds herself in the middle, torn between her family history and her desire to be a master naturalist. She also endeared herself to me with her determination to make it in the scientific community despite the field being dominated by men. To be named her Pieter’s successor is all she has ever wanted, and she will fight her detractors to the end in order to fulfill her dreams. However, if it comes down to a battle between being true to herself versus pursuing her aspirations, what will she do then? The story also has a “folklore” feel to it that I enjoyed, with a nice mix of fantasy and history. Mina’s newfound ability to speak with animals made for some humorous scenarios as well, and the author has a knack for writing conversations and giving each creature their individual personalities. Perhaps it is no surprise then that the character who stole the show was not even a person but an animal, the titular wolf Basa. He was the absolute greatest, and I liked him more than many of the human characters in this book. Despite a solid beginning though, I thought the book’s momentum started flagging towards the middle and the story didn’t end as strongly as it started. Mainly, I think it was because no other characters besides Mina really stood out for me. There’s some build-up to a possible romance, but I felt disconnected to it because the love interest came across as somewhat clichéd. The villain also didn’t affect me much, as no compelling reason was really given to explain his motivations. Mina’s actions also become inconsistent towards the end, and often I found myself frustrated with her impulsiveness every time she ran headlong into danger, having learned nothing from her past mistakes. As followers of my reviews will know, I’m also big on atmosphere when it comes to historical fiction. This was something I struggled with while reading this book, but I really think it would work better for readers familiar with the context of the setting. One thing to know is that the last execution of a witch in the Dutch Republic was probably in the early 1600s, which sort of explains the “in between” nature of belief for the people in this story as the populace moves towards an age of scientific enlightenment while some still hang on to superstitions. Admittedly, not being too well-versed in the history of the time and place left me confused and feeling untethered to the world at times, and I wanted more context to go with the historical facts and figures. The writing was also sparse in description, and I think some fleshing out of the setting would have helped in making this story feel more immersive. 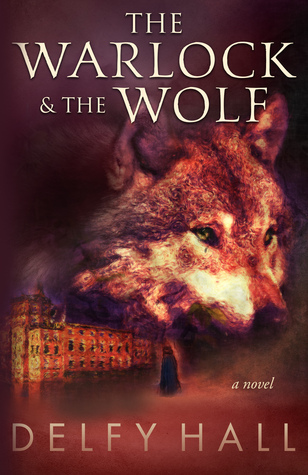 My verdict: The Warlock and the Wolf captured my attention right away with its intriguing premise and complex heroine. While the momentum gained by the strong intro didn’t carry through as far as I would have liked, I still think it’s a great read, which I would recommend especially for fans of historical fiction and magical stories. There’s lots to like, and plenty of potential for more. The science vs. magic angle is quite intriguing, and it’s something that is rarely explored in this genre. That alone would give the story an interesting twist, I think. This sounds quite good – with a few provisos. I like the historical and the folklore aspect. Maybe I didn’t question everything to the very fine detail, but no doubt it was a really entertaining read! I really liked this book. There was something new about it. The nature/animal/magic angle seemed really personal and fit into the story very well.